Skip Hire is a popular solution for disposing of waste in the UK and at affordable prices and flexible hire periods, is it any surprise? Here at Preston Skip Hire, we provide skips in all shapes and sizes to accommodate for the requirements of domestic and commercial clients. Let us run you up to speed with the latest information for hiring a skip; covering skip hire costs, skip sizes and permits! If you’re looking for Skip Hire Preston, you’re in capable hands. Our skip hire offers an affordable solution for disposing of waste, saving you time and effort. The cost of skip hire is influenced by various factors, including the size of the skip, the location, permits and competition. Healthy competition between skip hire companies can work in your favour (despite making it a nightmare for you to choose the right one!) because the quotes for Skip Hire Preston are competitive. The main influence on the cost of Skip Hire Preston is the size of the skip. As you’d expect, larger skips cost more to hire than the smaller skips because they provide you with much more space to store waste safely. Choosing the wrong size skip will only result in increased costs, hence why we recommend thinking carefully before you make any impulsive decisions. Which skip do you need? With so many skips to choose from, you’d be forgiven if you found yourself spoilt for choice! Our skips are suitable for almost any jobs, ranging from small DIY projects and industrial projects that generate immense volumes of waste. We offer domestic Skip Hire Chorley for any smaller projects. The domestic skips are surprisingly spacious and suitable for bulky materials that are no longer wanted or needed. You’d be right in thinking that these are the smallest skips available for Skip Hire Chorley. Unlike other skips, the mini skips are designed to fit small volumes of waste and are used when there is too much waste to fit in the wheelie bin. These skips are suitable for domestic and commercial clients- they are extremely versatile! A midi skip is often the primary skip for small to moderate tasks but can also be the secondary skip for larger projects. When it comes to placing midi skips, they are easy to store on driveways, so you needn’t worry about having to obtain a permit. Skip Hire Chorley is arranged to suit your needs perfectly. The maxi skips are useful for home improvement projects where multiple jobs are being carried out at once. Normally, we supply the maxi skips for kitchen or bathroom refits but this isn’t to say that we cannot deliver a skip to match your exact requirements! As the largest domestic skips, the open skip is a popular choice amongst domestic and commercial customers. These skips tend to be found on construction sites that are bound to generate a significant amount of waste. At Preston Skip Hire, we think nothing less than providing Skip Hire Bolton to meet and exceed the requirements of all businesses, hence why we specialise in commercial skip hire. The RoRo skips are available in a range of sizes, starting from 20-cubic yards, right the way up to 40-cubic yards. We offer the commercial skips to suit the demands of businesses who regularly generate immense volumes of waste. Often, the Roll On Roll Off skips are not required for domestic projects- you’ll end up paying more than you need to! As well as this, there needs to be sufficient space for the skip to be delivered by our specialist fleets, otherwise, this could compromise safety and make it difficult for our fleet drivers. Industries are likely to generate much more waste than any domestic project, hence why we provide enclosed compactor bins for Skip Hire Bolton. Our enclosed compactor bins are designed to make it easier for you to dispose of waste as soon as it’s generated and to eliminate the need to hire a skip daily. With Skip Hire Bolton, we can arrange to deliver a new skip or enclosed compactor bin as soon as yours is full, allowing you to continue disposing of waste safely and sustainably. Skip Hire Leyland is a fantastic way to get rid of most unwanted materials, however, there are several restrictions that you need to be aware of. Unfortunately, not everything can be thrown in skips because certain items require careful disposal and need to be handled safely. If you have any uncertainty about what can and cannot go in your skip, don’t hesitate to contact us– it’s always better to be safe than sorry! How could you benefit from skip hire? There are countless ways that you could benefit from Skip Hire Wigan; we aim to suit the demands of all customer, providing an affordable solution for disposing of the waste from your project. Whether you’re looking to hire a skip for your DIY project or your industrial sized project, you need to ensure that you have somewhere suitable to store the waste that your project generates over several days or weeks and we are confident that you could benefit from our Skip Hire Wigan services! The Skips available at Preston Skip Hire are used for excavation work, garden clearances, bathroom refits and home improvements and are suitable for almost any domestic or commercial site. Choose Skip Hire Wigan to benefit from a versatile, convenient and affordable method to dispose of waste. Here at Preston Skip Hire, we make it easier for you to dispose of unwanted materials. 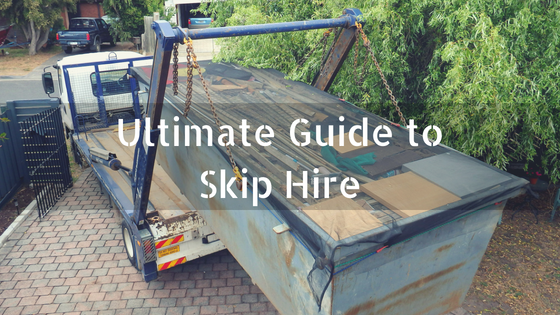 To ensure that you choose skip hire that meets your needs perfectly, we suggest requesting more than one quote- this way you’ll be able to make comparisons. In requesting quotes for you skip hire, you’ll gather a better understanding of how skip hire works in your local area, so what are you waiting for?